To rejuvenate the Swadeshi Movement in this age of science and technology for the purpose of national reconstruction. To spearhead the Movement for Swadeshi Sciences and technologies such as Ayurveda, Siddha, Meditation, Organic Agriculture, Vastuvidya, Forestry, Astronomy, Environment, Engineering and the like. To activate the Science Movement with a Swadeshi fervor in all the Bharatiya languages and at all levels, also through the mass media. 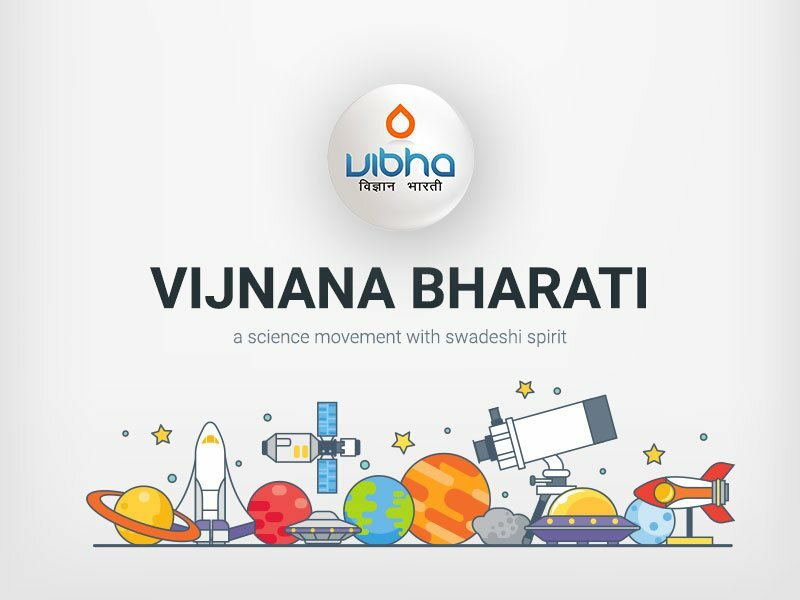 To spread the awareness of the unique contributions of ancient Bharat in the development of modern science. To motivate young scientists towards greater creativity and originality. To approach educational authorities for the inclusion of the information about the scientific heritage in all text books and curricular syllabus. To establish provincial branch units of “Vijnana Bharati” and co-ordinate their activities. To work towards the development of a common script and scientific terminology for all Bharatiya languages. To utilize the R&D personnel and Institutions towards development of Indigenous technology and thereby to uphold the identity and dignity of Bharatiya Science in the comity of nations. To interface with the Government and other agencies for the development of appropriate policies on education, economics, science, engineering, technology, industry and the like. To encourage the development of appropriate technologies suitable for Bharat, consuming less energy and less capital,but maximum labour with due eco-balance, for meeting the rural needs in a decentralized method to the fullest extent possible. To confer honors and fellowships on persons of eminence and erudition. To make Villages self-reliant by imparting traditional and rural technologies to the people. To help in giving modern interpretation of various scientific achievements, ancient and modern, by various means. To organize science fairs and competitions for educating the masses at large, particularly the younger generation. To co-operate/associate with other organizations having similar objectives. To publish books and journals, and organize seminars and workshops etc. on the developments in Science & Technology and on policies towards development. To establish educational Institutions, training centers, and research establishments for the development and propagation of these programmes. To conduct entrepreneurship development programmes on the theme industries with indigenous technology. To do all such things and acts which are conducive to the promotions and achievements of the above objective.